There are a number of schemes to help first time buyers to get onto the property ladder, and these are all managed by Help to Buy Midlands. Equity Loan allows buyers to purchase a new build home with a 5% deposit and a 75% mortgage. The remaining 20% is covered by an equity loan from the government, which is interest free for the first five years. Shared Ownership is aimed at people who can't afford to buy a property on the open market and is when individuals buy a share in a home and pay a subsidised rent on the share that they do not own to a registered provider, usually a housing association. 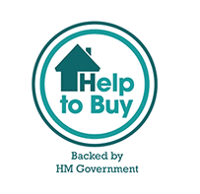 Other Help to Buy products - see https://www.helptobuymidlands.co.uk/otherhelptobuyproducts. Full details are available on their website at www.helptobuymidlands.co.uk or buy calling 0345 850 2050.